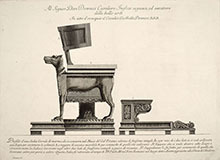 The emergence of the neoclassical movement in the mid 18th Century and popularity of the Grand Tour coincided with an increase in the sale and restoration of classical antiquities in Rome. 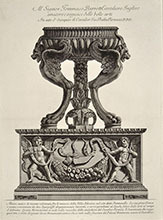 Giovanni Battista Piranesi began his involvement in this market in the 1760s collaborating with Thomas Jenkins and Gavin Hamilton who had financed numerous excavations in the Pantanello area of Hadrian’s Villa at Tivoli. 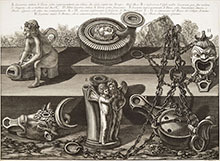 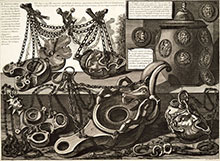 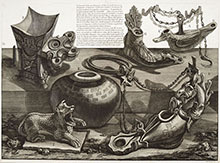 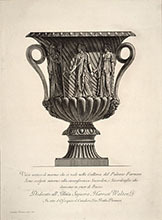 From 1768 and on, Piranesi began issuing individual plates of objects either passing through the trade or in collections. 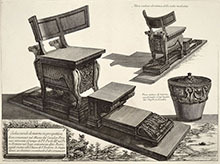 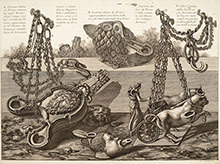 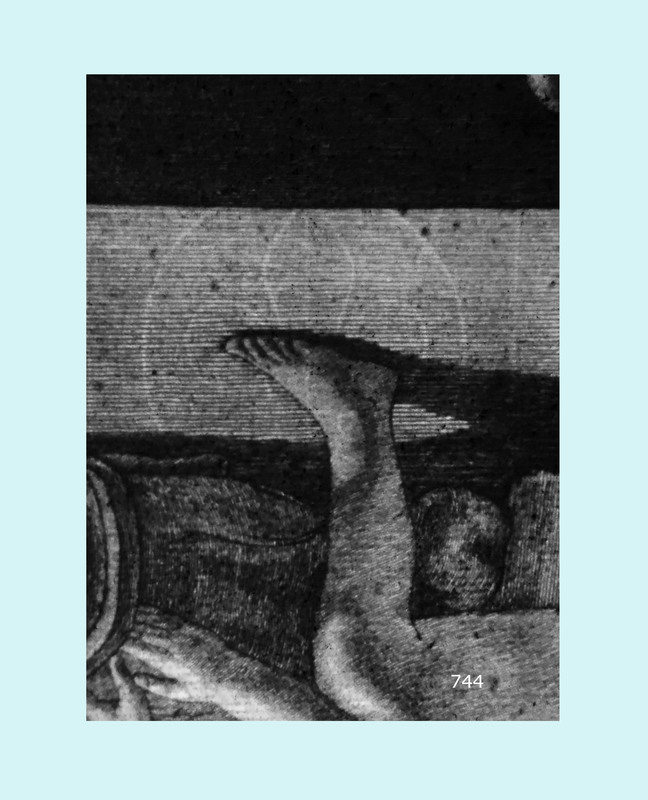 The plates were eventually assembled together and published as a set in 1778 in Vasi. 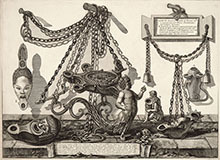 Piranesi dedicated the plates, respectively, to patrons, colleagues, visitors and influential people. 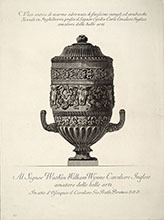 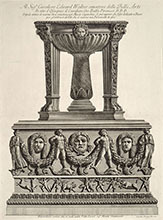 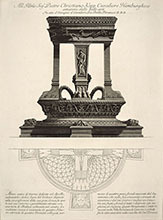 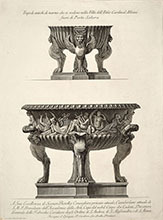 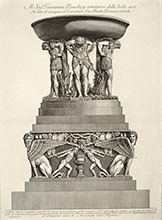 Among the prints were the spectacular Warwick Vase, a large Roman vessel that passed from Piranesi to his nephew the Earl of Warwick in 1774. 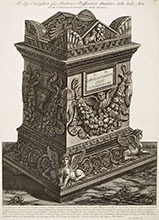 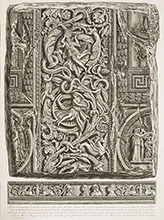 Many of the antiquities shown in Vasi subsequently were sold to King Gustav III of Sweden by Francesco Piranesi after his father’s death, and can now be seen in the National Museum in Stockholm.